The Mishicot VFW Post 7753 has much to be thankful for after receiving a check for $420 from O.H. Schultz Elementary School. The school raised funds to help send a local veteran on an Old Glory Honor Flight. 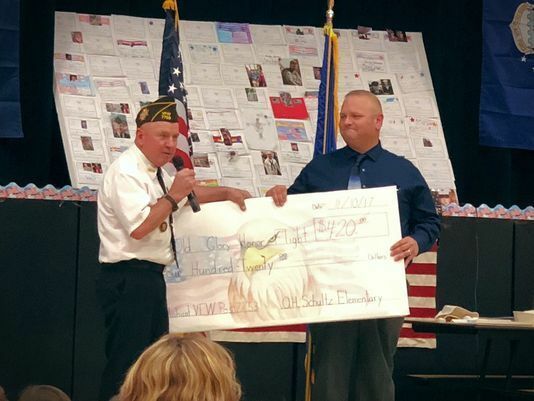 The check was presented during the elementary school’s annual Veterans Day ceremony.